The many reasons to visit Norfolk include quality hotels, good restaurants, cruise ships, and attractions. Norfolk Va is the cultural and business center of the Hampton Roads metro area, has the region's airport and is one of the busiest cruise ports on the east coast. There are many hotels in Norfolk, Virginia. Downtown hotels are close to the Waterside, Nauticus, Norfolk Scope and MacArthur Center. Airport hotels are close to Norfolk International Airport, Norfolk Botanical Garden, Virginia Wesleyan College and many businesses. Please go to our directory of Norfolk Virginia hotels. 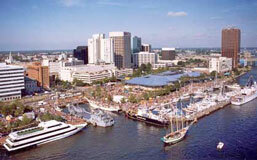 Norfolk Virginia is a departure port for cruise ships, including Carnival Cruise Line and Royal Caribbean. Cruise ships dock at the Half Moone Cruise Center, on the downtown waterfront. Go to our Norfolk Cruise page for details. 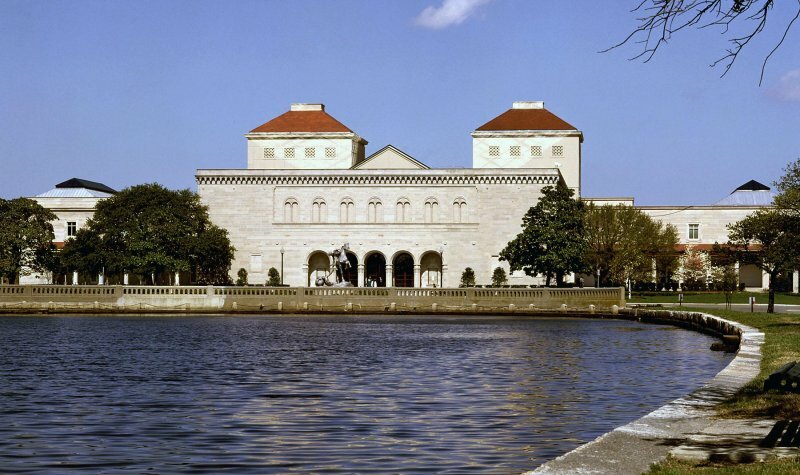 One of America's great fine art museums. Comprising 30,000 objects, the permanent collection spans over 5,000 years of world history. American and European paintings and sculpture from the middle ages to the present day form the core of the collection. In the Impressionist gallery alone, visitors can admire works by Monet, Degas, Renoir, Gauguin, Rodin, and Cezanne. The Museum also houses one of the world's great collections of glass, including outstanding works by Louis Comfort Tiffany. The world's largest naval station. Don't miss the daily bus tours conducted by Navy personnel that include seeing aircraft carriers, destroyers, submarines, frigates, and amphibious assault ships. The tour also passes historic homes from the 1907 Jamestown Exposition. 155 acres of colorful landscapes, unusual flowers, mature forests and seasonal plantings. Features one of the largest collections of azaleas, camellias, roses and rhododendrons on the East Coast. It provides an entertaining and educational experience for visitors of all ages. Displays nearly 400 animals, ranging from African elephants to Siberian tigers. Located on 53 acres adjacent to Norfolk's Lafayette Park and bordered by the Lafayette River. The spacious, beautiful grounds include wonderful gardens too. A favorite with kids. The Virginia Symphony plays in Chrysler Hall, the Virginia Opera is at the Harrison Opera House, and the Virginia Stage Company is at the Wells Theatre. All three venues are within walking distance of the downtown Norfolk hotels. Also downtown is the Norva, the coolest place to catch America's hottest bands. Norfolk is a highly desirable place to live. There are condos and lofts in the bustling downtown, and there are beautiful new homes on the Chesapeake Bay waterfront. Learn about the new developments in Norfolk Virginia real estate. The official city of Norfolk site has information for residents, visitors and business. The Norfolk VA section of BayDreaming.com presents the city from a boater's perspective. 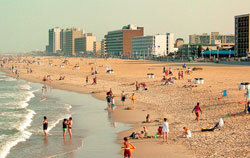 Norfolk Cruise Guide has all the details on cruises departing from Norfolk Virginia.